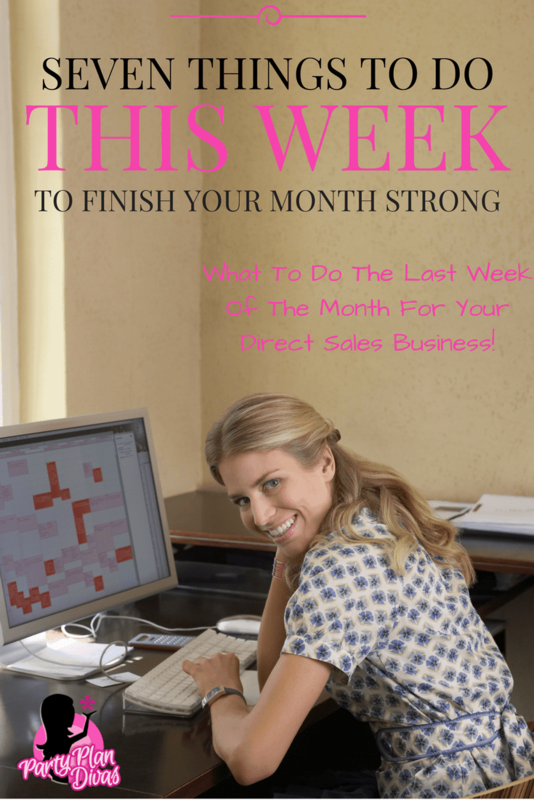 Here are some direct sales tips you can do the last week of the month to finish off your month strong and line yourself up for success next month too! The last week of the month is the best time for your customer newsletter! Why? Because you are creating a sense of urgency with “limited time” specials! When you send a customer newsletter in the beginning of the month, people have plenty of time to procrastinate placing their order. Send out a newsletter with specials only good through the end of the month! ALSO – make sure to mention any Party Rewards for next month! You can begin today booking your calendar full for May! Consider using the Dollar Days System to book your calendar FULL! Hold your own show! Facebook Live has made it easier than ever to hold online parties! The great thing about Facebook Live is that you can give very little notice and still have a wildly successful show! You can get last minute orders, bookings, and even new recruits without even leaving home! Check out our complete free training on How To Use Facebook Live For Online Parties. Take a look at your orders from the last few weeks and make follow up calls. Make sure they are loving their new products! Do they have any questions? Do they have any concerns? Do they know about next month’s Hostess Specials? Remember to focus on the relationship and making sure your customers are happy with you and their purchases, and that they are aware of other ways they can get involved in your business! Also – take a look at who parties or ordered last year… you can offer a “Hostess Reunion Party” to get together a year later! You even have last’ year’s guest list! Speaking of Guest Lists – compare the last few Guests Lists to who actually ordered from the party. These “Guest List No Shows” can actually turn out to be an enormous asset to your business! Do not assume that just because they were not at the party that they were not interested in what you have to offer! They may have had to work, may not have had a sitter, may not have felt well – you simply do not know! A Booking Blitz is a great “excuse” to reach out to your customers as well as a great activity to get your team motivated too! With a Booking Blitz, you simply pick a date and time and start dialing. 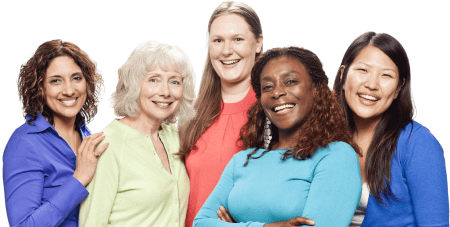 Call as many of your customers as you can and let them know you are participating in a Booking Blitz Contest with some of your sister consultants to see who can book the most parties in a one-hour time frame. The winner will receive a basket of products that one of her lucky hostesses will win that month! It’s April – everyone has taxes on their minds! Even though tax season is *technically* over, you can use this last week to have your OWN Inventory Reduction Sale! What do you have on hand that can either be sold OR used as a Booking Incentive? Also, see if your corporate office has products on sale or discontinued that you can stock up on to use as incentives later. Challenge your customers to use your products for seven days and run a contest for whoever shows the products all seven days! Consistency is a huge struggle for many, so have fun and encourage consistency while giving a reward! For instance – if you have a skin care company, run a contest with your customers to show a picture of themselves using your products every day for seven days! If you have a food company, run a contest for people to share a recipe every day. If you have a jewelry company, run a contest for everyone who shares a pic of their “bling” every day for seven days! You can have fun and build consistency and engagement with a fun prize at the end! Do not wait until the last minute to have a great month! You can use these tips anytime to ramp up your business and get the momentum going! Have more ideas? Come share them with us in our Free Facebook Community!